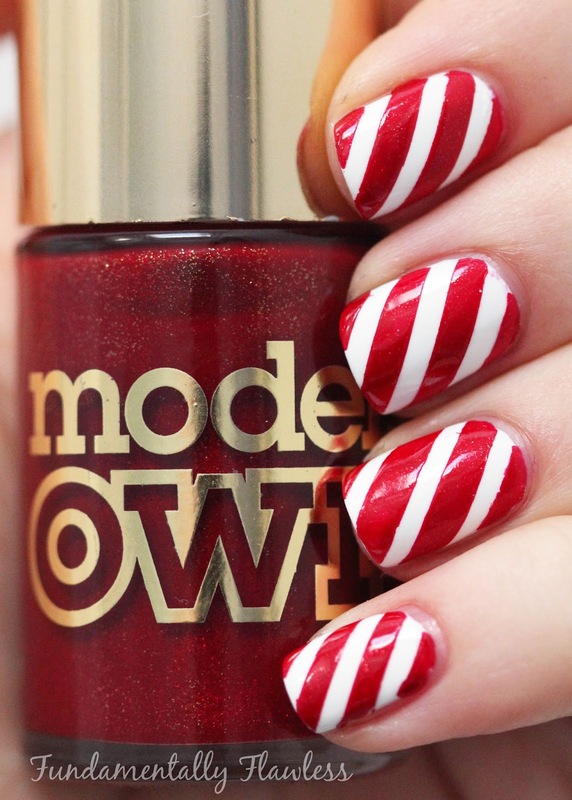 In the December issue of Girl Talk Magazine I had a piece entitled 'The 12 Nails of Christmas' - and these candy cane nails were one of those twelve! I couldn't resist doing a separate post on them here because they're so appropriately Christmassy when the big day is tomorrow! I used Models Own White Light as a base, then Straight Nail Vinyls and Models Own Diamond Luxe Marquise Maroon*. 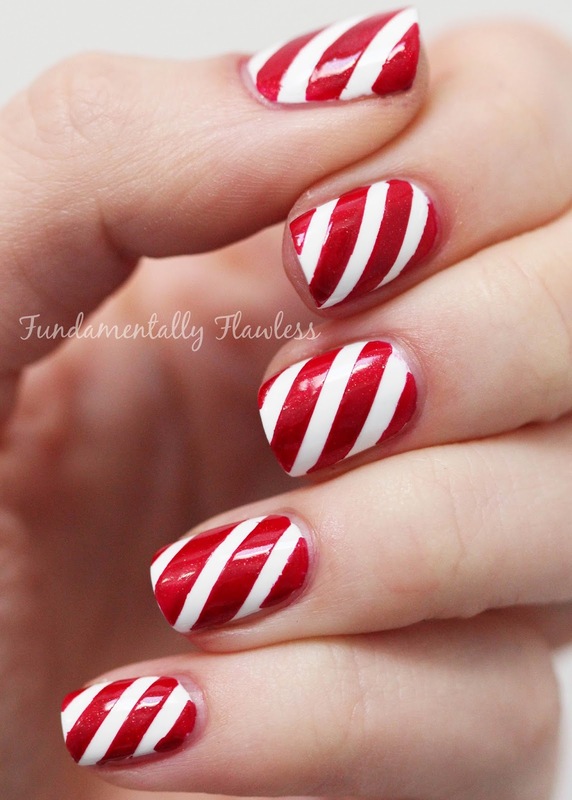 Have you ever tried candy cane nails? 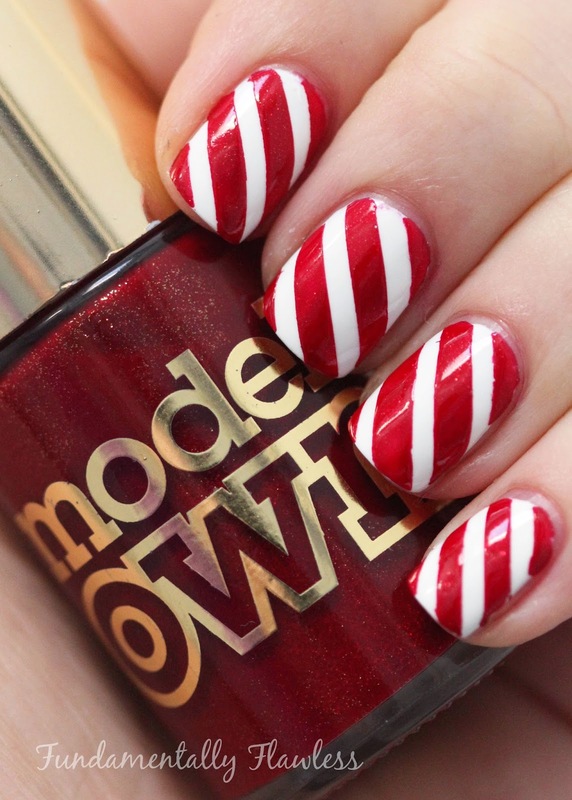 What Christmas nails are you planning for the big day? Let me know in the comments below!